Treatment: We may use or disclose your health information to provide, coordinate, or manage your health care treatment between health care providers. For example, this may include the co-ordination of treatment by your health care provider with a third party, consultation between health care providers relating to you, or referral for your health care from one health care provider to another. Payment: We may use or disclose your health information to determine and remit proper payment for health care treatment or services you receive, or to receive payment for health care treatment provided to you at Homeland Center. For example, your health information may be used to determine eligibility for coverage, billing, claims management and collection activities. Health Care Operations: We may use or disclose health information about you for operational purposes. For example, your health information may be used to conduct quality assessment and improvement activities, to conduct fraud and abuse detection programs, and for business planning and development. It may also be used for professional review of health care professionals, auditing services, claims adjudication, underwriting and general administrative activities of HOMELAND CENTER. Disclosures Required by Law: We may use or disclose information about you when we are required to do so by law. 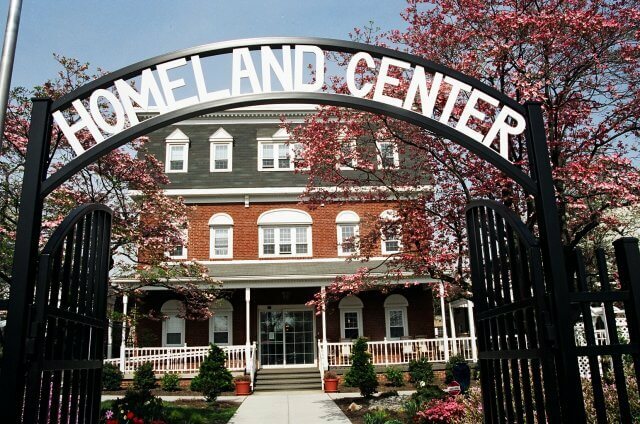 HOMELAND CENTER may disclose your health information to comply with a court order, an administrative order, a subpoena, a discovery request or other lawful process, report information related to victims of abuse or neglect, or to a law enforcement official for a law enforcement purpose. Coroners, Medical Examiner, Funeral Directors: We may release your health information to a coroner or medical examiner to identify a deceased person or to determine the cause of death. We may also release health information to funeral directors as necessary for them to complete their duties. Public Health: Your health information may be used or disclosed for public health activities such as assisting public health authorities or other legal authorities to prevent or control disease, injury or disability. Health Oversight Activities: HOMELAND CENTER may use or disclose your health information for oversight activities authorized by law, including audits, civil, administrative or criminal investigations, or other activities necessary for appropriate oversight. Individuals Involved In Your Care: Unless you object, we may disclose health information about you to a friend or family member who is involved in your care. We may also give information to someone who helps pay for your care. In addition, we may disclose health information about you to an entity assisting in a disaster relief effort so that your family can be notified about your condition, status, and location. 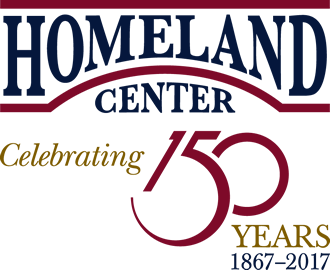 Direct Contact: HOMELAND CENTER may contact you to provide appointment reminders or information about treatment alternatives or other health-related benefits and services that may be of interest to you. Research: HOMELAND CENTER may use your personal health information for research purposes when an institutional review board or privacy board that has reviewed the research proposal and established protocols to ensure the privacy of your health information has approved the research. Government Functions: Your health information may be used or disclosed to carry out specialized government functions, such as protection of public officials, for national security, to correctional institutions, or to another agency administering a public benefits program. Worker’s Compensation: Your health information may be used or disclosed in order to comply with the laws and regulations related to Worker’s Compensation. Decedents: Your health information may be disclosed to funeral directors or coroners to enable them to carry out their lawful duties. Right to Inspect and Copy: You have the right to inspect and copy medical information HOMELAND CENTER maintains about you. To inspect and copy your medical information, please submit your request in writing to the HIPAA Privacy Officer at the address given above. If you request a copy of this information, we may charge a fee for the costs of copying, mailing or other supplies associated with your request. We may not charge you a fee if you need the information for a claim for benefits under the Social Security Act or any other State of Federal needs-based benefit program. We may deny your request to inspect and copy in certain limited circumstances. If we deny your request you may have the denial reviewed by a licensed healthcare professional who was not directly involved in the denial of your request, and we will comply with the outcome of the review. Right to an Electronic Copy of Electronic Medical Records: If your medical information is maintained in an electronic format (known as an electronic medical record or an electronic health record), you have the right to request that an electronic copy of your record be given to you or transmitted to another individual or entity. We will make every effort to provide access to your medical information in the form or format you request, if it is readily producible in such form or format. If your medical information is not readily producible in the form or format you request your medical information will be provided in either our standard electronic format or if you do not want this form or format, a readable hard copy form. We may charge you a reasonable, cost-based fee for the labor associated with transmitting the electronic medical record. Right to Amend: If you feel that the health information we maintain about you is incorrect or incomplete, you may ask us to amend the information. You have the Right to request an amendment for as long as the information is kept by HOMELAND CENTER. Your request for an amendment must be submitted in writing to the Compliance Privacy Officer at the address listed above. Is not part of the medical information kept by or for HOMELAND CENTER. Right to an Accounting of Disclosures: You have the right to request an “accounting of disclosures,” if any such disclosure was made for any purpose other than treatment, payment, healthcare operations (TPO) or certain other authorized disclosures. To request an accounting of disclosures, you must submit your request in writing to the CompliancePrivacy Officer at the address listed above. Your request must state a time period, which may not be longer than six years and may not include dates before April 14, 2003. Right to Receive Notice of a Breach: You have the right to be notified in the event of a breach of any of your unsecured Protected Health Information. Right to Request Restrictions: You have the right to request a restriction or limitation on the Protected Health Information we use or disclose for treatment, payment, or health care operations. You also have the right to request a limit on the Protected Health Information we disclose to someone involved in your care or the payment for your care, like a family member or friend. For example, you could ask that we not share information about a particular diagnosis or treatment with your spouse. To request a restriction, you must make your request, in writing, to the Compliance Privacy Officer at the address set forth at the beginning of this Notice. We are not required to agree to your request unless you are asking us to restrict the use and disclosure of your Protected Health Information to a health plan for payment or health care operation purposes and such information you wish to restrict pertains solely to a health care item or service for which you have paid us “out-of-pocket” in full. If we agree, we will comply with your request unless the information is needed to provide you with emergency treatment. Right to Request Confidential Communications: You have the right to request that we communicate with you about medical matters in a certain way or at a certain location. For example, you can ask that we only contact you at home, at work or by mail, in your room or in another room of the facility that may provide more privacy. To request confidential communications, you must submit your request in writing to the Compliance Privacy Officer listed above. Where possible, we will accommodate all reasonable requests. Right to a Paper Copy of This Notice: You have the right to a paper copy of this Notice, even if you have agreed to receive this Notice electronically. You may ask us to give you a copy of this Notice at any time. You may obtain a copy of this Notice by contacting the Compliance Privacy Officer or Homeland Center’s Social Service Department. Your complaint must be in writing. You may also file a complaint with the federal government by contacting the Secretary of the Department of Health and Human Services at 200 Independence Ave., SW, Washington, DC 20201. You will not be penalized or retaliated against for filing a complaint.